On 31/08/2018 at precisely 12:01 I received a text message from the ICAEW that I'd passed my final ACA exam. I thought I'd react by smiling or jumping from joy, but instead I felt so overwhelmed with emotions and without even noticing had tears flooding down my face. I was so relieved. In that moment I was recalling all the time and effort I'd put into passing those exams over the past 3 years. It felt so rewarding in many ways. It's truly been a roller coaster ride from going into college to studying for exams, spending countless weekends and evenings in the office studying, nightmares about the exams going wrong, sitting the actual exams and waiting for exam results, all alongside a full time job. I'm writing this blog because I want to share with others what I know about becoming an ICAEW Chartered Accountant and my top tips on how I passed. In order to become an ICAEW Chartered Accountant students need to pass 15 exams across three levels and complete a minimum of 450 working days of practical audit work experience. Students need to complete at least 3 years on the job training with a recognised employer. I qualified after three years as a chartered accountant at PwC within the Banking and Capital Markets assurance department. Start to work through the material as soon as you have access to it and spread revision over a long period of time so you can revisit the trickier areas of the syllabus ahead of time. Finding out that you borderline passed/failed your mock days before the real exam is unnecessary added stress, so make sure you start early to relieve the pressure nearer the exams. Prepare a revision timetable many weeks ahead of the exam date and plan roughly how you want to split your revision time between the different subjects, particularly, if you have to sit for two/three exams at the same time. Edit the timetable at the start of each week with more specific goals you need to achieve so for instance, revising X, Y topics and attempting X many questions on X, Y days of the week. Learn to juggle your various priorities and schedule your routine around that. So for instance, if you know that client work in a particular week is a priority then make sure to schedule time early in the morning to revise before you start work because you know you'll be working late in the evening and won't get the chance to revise at any other point during the day. It's essential that your seniors at work are aware of your upcoming exams well in advance because if you don't tell them they might ask you to do work which may require you to work overtime. However, if they are aware then they they may help to ensure that you leave work on time so you can devote time in the evenings to study. You need to take personal responsibility for your exams. 4. Question practice, Question practice! Everyone I asked for advice before any of my exams would always say "Practice the question bank as many times as you can". Honestly, if you take any piece of advice let it be this one. The ACA exams are all about exam technique, particularly the professional and advance level exams. The only way to learn how to present your answers and perfect that exam technique of addressing all the requirements under time pressure is to practice the question banks under exam conditions. One of the most challenging aspects I found was trying to answer the questions under the limited time available. Despite the advanced level exams being 3.5 and 4 hours long I still thought that was too little given the amount of information I had to absorb, numbers I had to calculate and answers I had to explain. So make sure you get your timings right which can only be achieved through question practice. I always preferred staying behind in the office after work and studying in one of the empty offices till late, because I knew that if I went home by the time I arrived back and cooked dinner I'd get lazy and would have wasted a few hours which I could have spent studying. So try to develop a routine that's convenient to you and allows you to maximise your study time. If you're a morning person take advantage of that by trying to squeeze in an hour or two in the morning for revision. I was most productive early in the morning, so I'd always head into the office very early in the morning while it was empty and just study until it was time for me to start working. Those were probably my most intense hours of revision as I was so focused and switched on during those hours. Take advantage of the time spent commuting to and back from work by carrying some of your exam notes, or reviewing an answer to a long question you attempted before going into work or watching recorded tutorial videos. Embedding revision into your commute allows you to utilise a decent amount of time (depending on the length of your commute) to absorb more information which is always a good thing. Accept that in the run up to exams that your weekends are for revision with limited socialising. Looking back, I used to have serious FOMO (fear of missing out) which I just had to get over and learn how to say "no" to some social outings without feeling too guilty. I always told myself that if I failed an exam I never wanted to feel that I could have done more or regret moments where I felt I made a bad choice by choosing to do other things. So do your best and be willing to sacrifice missing out on small things for a big win! You need to do things to charge your batteries. The worst thing you can do is force yourself to study when you're feeling drained and unfocused. If going to the gym, getting your nails done or watching an episode of reality TV helps you relax then do that in between your breaks in order to maintain your well-being. If you're struggling in some areas reach out to your tutors to clarify parts of the syllabus. Most tutors are chartered accountants who've been in your shoes before, so I found their exam tips and advice extremely practical and useful, so follow it! A lot of your colleagues are in the same boat so do support one another. I personally preferred studying on my own but would always plan to meet with others in the office on the weekend so we could study around the same area for moral support. That really helped to keep me going because we would grab lunch, coffee and dinner together which gave us an opportunity to ask each other questions and just relax and get out of the office for a bit. It's okay if you fail an exam, you have another shot at a resit so don't waste it. Don't dwell on the fact that you've failed for too long. Reflect on what went wrong and how you can approach the resit with better technique. The ACA exams are all about exam technique and knowing how to answer the questions in the style the examiner wants. "What Comes Easy Won't Last, And What Lasts Won't Come Easy"
So, don't expect the ACA journey to be easy, but expect it to be worth it! 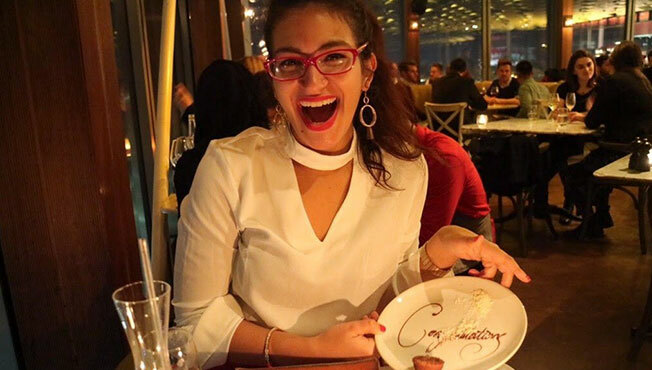 Yousra Abdelmoneim is an ACA exam qualified accountant working at PwC within the London Top Tier Assurance department as an internal auditor. She worked within Banking and Capital Markets Assurance department as an external auditor at PwC previously. She's really passionate about social mobility, empowering young people and is on the team of NewGen Accountants which provide advice and support to those pursuing a career in accountancy. 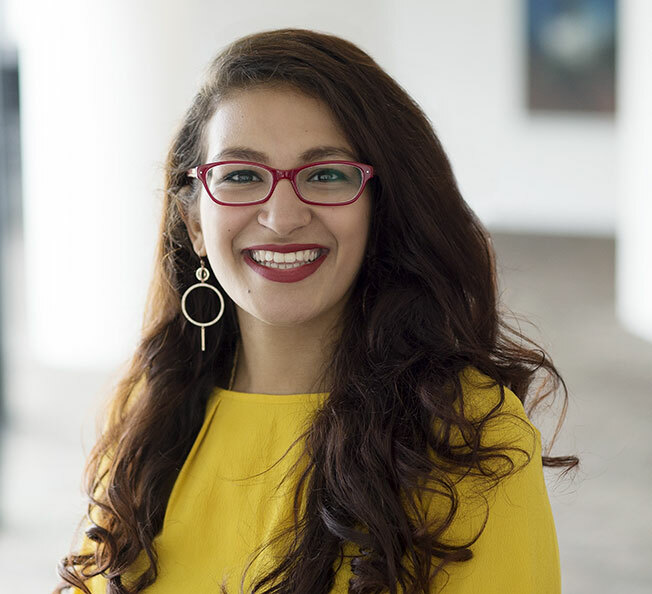 She's a One Young World Ambassador and currently leads the One Young World network at PwC which aims to raise awareness of global issues happening around the world. She is on the Steering Committee for the Multicultural Business Network (MBN) which aims to support ethnic minorities with career progression and development at PwC and promotes cultural diversity so people become more culturally agile. I would say that counselling was crucial for me. Somehow it makes you able to carry on, because you know someone is there to talk to.